These brakes fit the following. 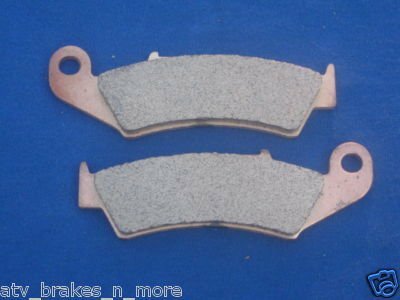 You will receive 1 sets of brake pads - enough for 1 front caliper. These brakes are new in package. The pads are made from Sintered Metal. Sintered metal brake pads are designed to withstand highly abrasive conditions. You will get Maximum performance along with great durability. They are perfect for all types of off-road riding. Sintered metal cuts through the film of water that forms on brake disks in wet conditions for exceptional wet weather performance and will perform with little or no brake fade.